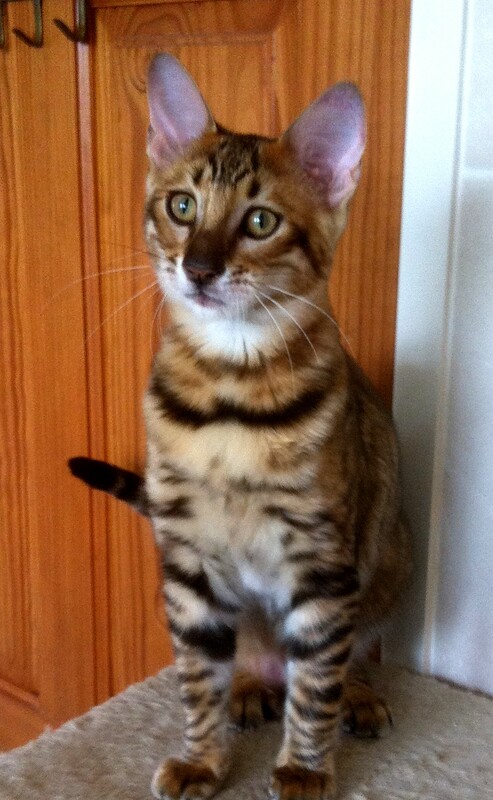 I am delighted to announce the arrival of our two Toyger Kittens. 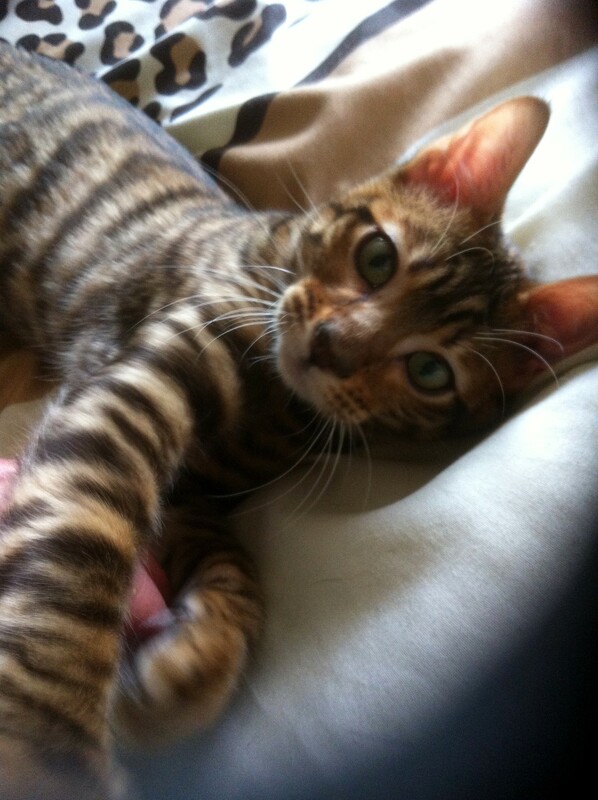 Toygers are relatively new breed, founded in the USA. 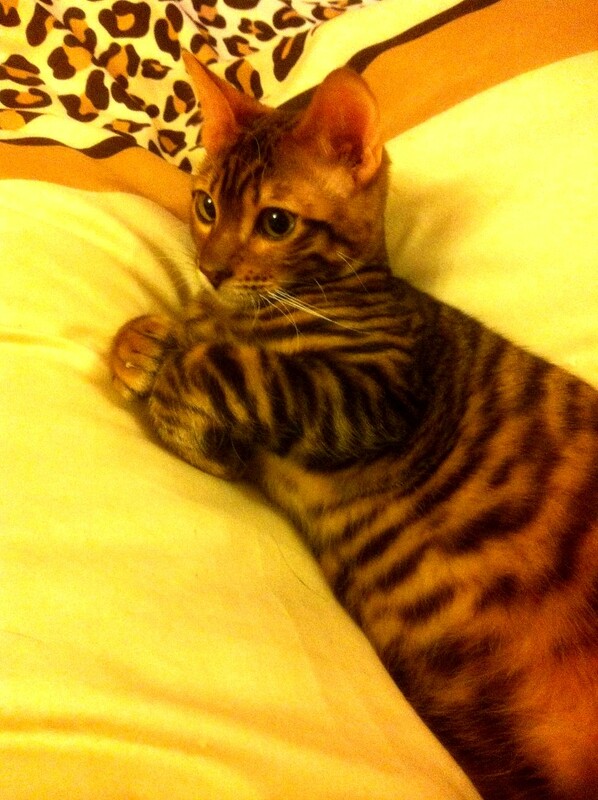 They have been bred to resemble a small tiger with a long low slung body covered in stripes. 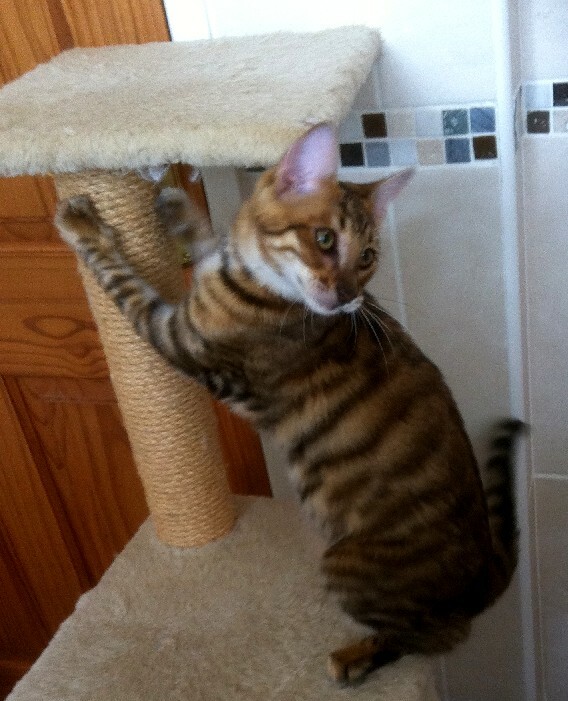 They have been bred using Bengal and other domestic cats and are particularly renowned for their wonderful friendly nature with both people and other cats. Like Bengals they make great family pets. Katika is a huge girl with a silky plush golden coat and whited tummy, really good head type and a wonderfully soft loving nature. 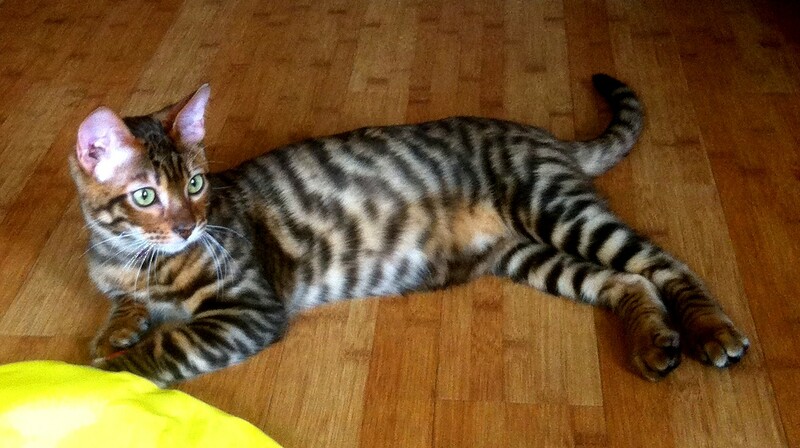 Ted has excellent contrast to his beautifully striped coat pattern. He has a long low slung body and moves like a little tiger. He has the sweetest nature and is a quiet gentle boy who loves to sleep on the bed!. Many thanks to both their breeders for entrusting me with these beautiful kittens! 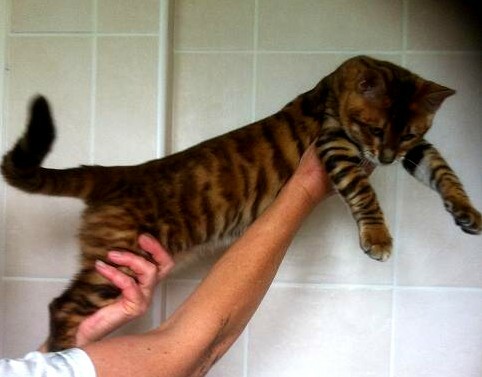 There are a few UK breeders who register Toygers with TICA but I hope to be the first breeder of GCCF registered Toygers in the UK. The GCCF is currently considering an application for recognition of the breed. It is that time of year again - we always test our girls for HCM as close as possible to mating - and three (Lucy, Flora and Skye) have now had their annual echocardiogram for 2016 with Joerg Niehogen, Cert VC MRCVS. All were normal again as is Tobysden Yogibear. Sultan has also tested normal again in September 2016.